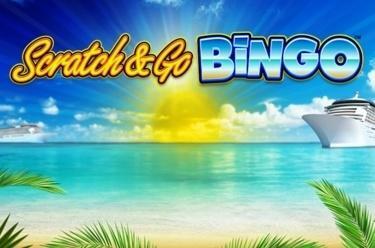 Play Scratch & Go Bingo online for free now! If you love numbers Scratch & Go Bingo is just the ticket for you: Like with every classic Bingo variant it is crucial here to land one of the specified number winning patterns on one or even better all of four cards. If you land a Bingo with one draw the jackpot is yours! And the cherry on the cake: You can cash in big time with the correct bonus number combo in the scratch card feature! To bring Twists to your player account you need one complete winning pattern on one of the four Bingo cards. 30 balls will be drawn per stake. The numbers on the balls will afterwards be matched with those on the cards. If they correspond they are marked; when you land one of the winning patterns displayed above the playing field you win. After the regular draw, you’ll have the opportunity to buy up to 11 extra balls: these additional Bingo balls increase your chances of winning!